Making a flood damage insurance claim and need some help? Just give IC Assist a Call. Dealing with flood damage is not easy and requires professional assistance. Floods can be devastating to you, your home and its contents and cause thousands of pounds worth of damage. But don’t worry, if there is significant damage to your property following a flood, we’re here to help. We provide a FREE Claims Management Service that will remove all the hassle and stress of dealing with your insurer and all the repairs. Water damage can cause many problems that go beyond superficial damage to the surface of ceilings and walls. Electrical faults and issues such as rot, mould can also grow on the underside of plasterboard and timber/joist/insulation. That’s why it is important to choose a company like IC Assist. 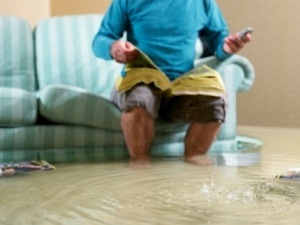 We will handle your flood damage insurance claim professionally. This initially involves a thorough assessment of the damage to your property. Then we will install and monitor our drying equipment to return the moisture levels to an acceptable level. We will only begin the reinstatement works once the property has reached it’s drying target. Time is of the essence when dealing a with flood damage insurance claim – you need to act fast! You must act quickly if your property has been damaged by water. This is because you have a duty to mitigate your claim and prevent secondary damage to your property. However, that’s where we can help. Depending on the nature of your claim, we can install drying equipment during our initial survey of the damage. This will help mitigate your claim and get your property drying sooner. This will allow us to begin repairs sooner.